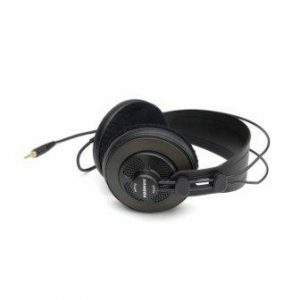 are left wondering as to what is the best brand of headphone to buy, well in fact there are so many to choose from. With so many types and brands of headphones today, choosing the best ones can be confusing. There are certain considerations to make but most importantly buyers must realize that specifications and features differ from one brand to another. The Samson SR850 Semi-Open-Back Studio Headphones provides excellent listening quality perfect for music lovers, musicians, singers and even sound engineers. Built with high performance in mind, the Samson SR850 offers a sound output with solid bass response in an over-ear design. Designed to provide optimum performance with impeccable features, the Samson SR850 Semi Open Back Studio Headphones offers the best comfort and accurate sound monitoring. Engineered to provide the best listening experience, the Samson SR850 semi open back studio reference headphones are excellent in delivering precise audio output with emphasis on solid bass response and clear highs. Sounds are crisper with highly audible tones necessary for accurate sound monitoring whether in professional music studio setting or at home. This is integral for professionals who work as musicians, vocal talents and sound engineers as well for serious music lovers. With high quality features and solidly built chassis, the Samson SR850 headphone will allow better monitoring for a bleed or spill in audio output during sound recording or live mixing. Bleed or spill refers to the sound from another source that has been picked up by the microphone other than the intended source wherein quality studio headphones can often identify through accurate audio representation. improved ambient listening providing true to tone sound surrounding. The open-ear design allows improved stereo imaging in a wider sound stage. Enhanced with superb quality sound reproduction is possible with the 50mm drivers, the Samson SR850 offers more dynamic range that is essential in creating a final sound mix or for providing excellent sound quality during audio playback for the usual listening pleasure. Ensuring the best fit is essential when it comes to using a headphone for long studio sessions. With self-adjusting headband, the Samson SR850 Semi-Open Back Studio Reference Headphone offers total comfort even when use in extended periods of time. The self-adjusting headband will not require further adjustments. The carefully designed studio headphones can easily follow the contour of the ear to provide a personalized comfy and secured fit. Designed to provide the best professional performance and comfort, the Samson SR850 Studio Reference Headphones are suitable during extended listening pleasure and long hours of studio audio mixing. The over-ear and semi-open back features come with quality velour cushioning to ensure optimum comfort. Included in the set is a quality 1/8 to 1/4 inch gold plated stereo jack adapter with enough cable length to allow a good space for movement. Samson SR850 and its open-ear design helps reduce ear fatigue and will provide the best listening experience even for extended period of time. 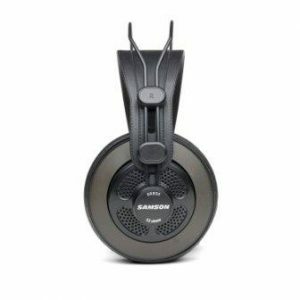 Why choose Samson SR850 Semi-Open Back Headphones? pioneer in the wireless microphone technology and now an industry leader when it comes to professional audio products and solutions. This is the preferred brand of audio professionals, stage performers, recording artists, sound engineers and serious music listeners. Samson SR850 Semi-Open Back Studio Reference Headphones are manufactured utilizing the best standards that will ensure optimum work performance. With an advanced technology incorporated with each Samson SR850 headphone, it is capable of delivering exceptional sound quality with emphasis on solid bass response and ultra-clear highs through its open-ear design. 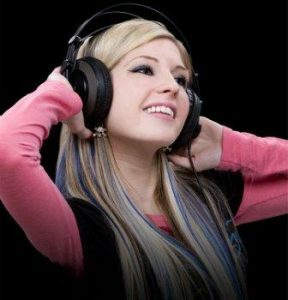 Studio professionals require high quality headphones to have the best fidelity in terms of audio quality. The Samson SR850 offers reliable audio output needed for sound mixing, listening and recording. With excellent base response, slightest spills or bleeds are highly recognize therefore sound technicians can easily monitor the quality of audio that is being produce. With superb performance providing consistent good sound quality, Samson SR850 is a good choice for a studio headphone. ugh length for a sound professional to move freely in his space which will allow total comfort. No doubt that when it comes to high performance headphones the Samson SR850 is a sound choice. Recognizing the good audio quality that provides fidelity in discernable tones, the Samson SR850 Semi-Open Back Headphone is an outstanding quality headphone to have for both studio and home use. 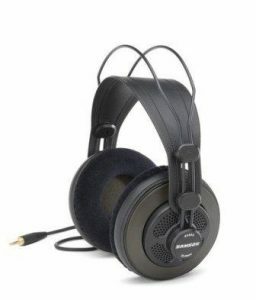 Considering the nice price as compared to other more expensive headphones in the market, the Samson SR850 is a preferred headphone of professionals who require a reliable headphone for studio mixing, performances and audio recording. Sound monitoring is easy even for extended hours of usage since the design of Samson SR850 gears towards total comfort without sacrificing sound quality.